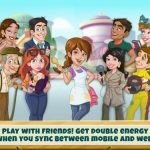 Stirfry Stunts – We Bare Bears is a new Android and iOS game by Cartoon Network, and as the game’s title suggests, it’s based on the network’s series We Bare Bears. 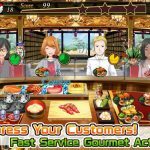 In here, Ice Bear is now working as a chef at a teppanyaki restaurant, but working the grill at that restaurant is “no easy task.” This is a cooking game where you have to juggle ingredients around and satisfy your customers, just like you would in other cooking or restaurant management games. 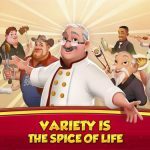 You can make new meals as you unlock new foods, and as you use more “exotic” ingredients, you’ll be increasing your multipliers, thus adding to your point total. You can also enlist the help of Grizz and Panda, who will distract customers by singing and dancing, buying you some time so that you could get your recipes just right. Cartoon Network also stresses is that you have to get those meals perfected in time. If you take too long, your customers will leave your restaurant, and you don’t want that to happen. It’s just like running any kind of food-related business. So how do you run your teppanyaki restaurant the right way? We know how, as we’ve got a Stirfry Stunts strategy guide for your reference below. At the start of the game, you’ll have only two plates and four spots on the grill to work with. You’ll also be limited to two types of meat – beef and chicken. That means you’ll have to make the most of what you have at the start, by having at least one meat cooking on the grill and ready to serve up. Remember that your customers will always order one type of meat on their dish, so make sure you’re ready to serve your customers by following that “one meat or more” rule. For another beginner tip, you’ll notice that the game is rather leisurely-paced at first. That’s when the game is at its easiest, so you can take this time to learn the ins and outs of Stirfry Stunts, and to practice your multitasking skills and strategies. When a customer arrives, place a piece of food on the grill as you’re taking their orders. Don’t wait until the meat has burned for staying too long on the grill, and don’t jump the gun and take it out when it isn’t too dark yet; you want to take it out when it’s darkened well enough. Otherwise, you’ll be wasting food and, if you come to think of it, wasting money too. If you prefer a game that allows you to sit back, relax, and let the computer AI do most of the heavy lifting for you, then we regret to inform you of this – Stirfry Stunts may not be the game for you. You have to work fast, and work as fast as possible, because the faster you serve dishes to your customers, the more tips you’ll earn, and the more points you’ll score. The red circle, which we will go back to later on, is like the measure of your customer’s patience. The less filled-up it is, the greater the tip you’ll earn. Be fast, efficient, and always on your toes, just like you would if you were running a real-life teppanyaki restaurant. As you move forward in the game and have served a good number of customers, you’ll notice that you may be getting way over your head. The number of new customers will rise stratospherically, and you’ll have a hard time trying to serve everyone. In the game, there are four slots reserved for customers, and you’ll soon find it common to see all four slots occupied. Now that’s where you’ll want to observe the red circles we mentioned earlier. These circles fill up over time, and once the circle fills up, the customer will leave and you will “die.” Well, not really, but you’ll lose one of your “lives” in the game. In order to serve your customers in the most efficient way possible, you’ll want to focus first on the customer who’s closest to walking out impatiently. Once you’ve finished your first run of orders in the game, you can head to the in-game shop and spend the money you earned on tips to buy upgrades. These may include additional plates, a larger grille, and, most importantly, new types of food. So what should you prioritize – plates, grille, or food? We would certainly suggest going for the food before the others. That’s because each new food item has a multiplier next to it, which means greater tips and more points based on that multiplier. For example, you’ll see x3 next to shrimp, x4 next to salmon, x5 next to scallops, and x6 next to lobster. Basically, the more “exotic” the food, the higher the multiplier, so if you can afford it at that point in the game, go for the lobster. 6. What Other Items Can You Buy At The Store That’s Worth It? Some lists of tips and tricks have disagreed with this, but you shouldn’t confine your store purchases to food. You can, for example, spend 5,000 coins each for two extra plates, or buy a boom box and microphone, which we’ll be getting to later. There’s also the XL grill, which allows you to cook more food simultaneously; you should buy this once you’re able to afford it. You’re still going to want to focus on the food, but don’t disregard the other items either. 7. What Upgrades Should You Buy? Aside from the above items, there are also some upgrades to purchase at the store. And you should also choose the right kind of upgrades to save up for and eventually purchase. The Nuclear Boost power-up/upgrade allows you to instantly cook food, eliminating the waiting time. The Infrared Power upgrade lets you cook food twice as fast. Obviously, you want the former if you can afford it, as opposed to the latter, which may tempt you at first because of its promise to cook food twice as fast. 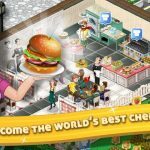 Don’t bother on the “view” power-ups, as they merely result in cosmetic changes to your restaurant. 8. Need More Time To Work? Use That Same Old Song And Dance! We said earlier that it’s a good idea to buy the boom box and microphone once you can afford them. These may look like cosmetic add-ons at first, but they do serve a purpose – they allow Grizz and Panda to help you out by entertaining, or should we say, distracting your customers. With your customers paying more attention to their performance and paying less attention to their food, their circles will take longer to fill up. You will really need that boom box and mic when your restaurant business starts booming, no pun intended; buy them the moment you can afford them. These would be our hints and tips for Stirfry Stunts. If you happen to know other tricks for the game, don’t hesitate to let us know!